The Pontec PondoVario 1000 is a compact fountain pump or garden pond pump with 4 attachments for different water patterns for your garden and pond. The Pontec PondoVario 1500 is a compact fountain pump or garden pond pump with 4 attachments for different water patterns for your garden and pond. The Pontec PondoVario 2500 is a compact fountain pump or garden pond pump with 4 attachments for different water patterns for your garden and pond. The Pontec PondoVario 750 is a compact fountain pump or garden pond pump with 4 attachments for different water patterns for your garden and pond. 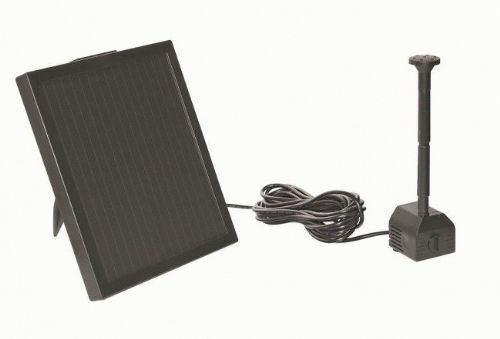 The Pontec PondoSolar 150 is a solar power fountain set for your pond or water feature. 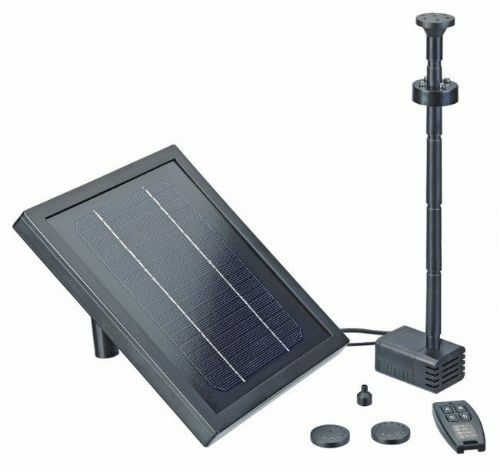 The PondoSolar 150 is a complete set including four nozzles, the fountain pump and a solar panel without power connection for a compact ornamental fountain. No energy cost. 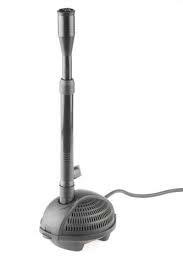 The Pontec PondoSolar 250 Control is a fountain pump set with a rechargeable battery. The PondoSolar 250 Control is a complete set with fountain pump, solar panel, rechargeable battery, remote control and 4 different nozzles - attractive fountain even when the sky is overcast or in the twilight - without power connection. Compact fountain pumps to create a fountain or waterfall for a pond or garden display.